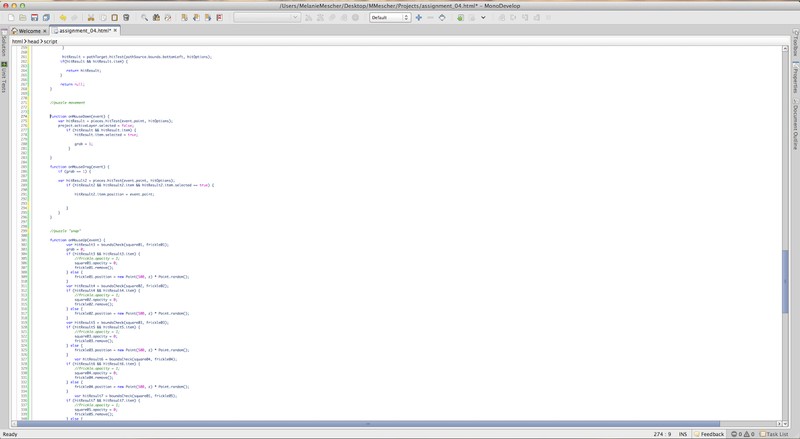 So real quick here is a 450 line of code project I had to do for Interactive Design. 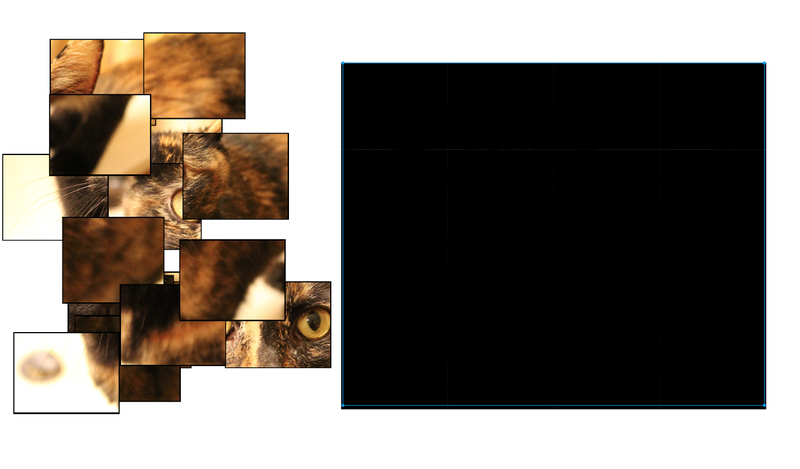 I used a picture of my cat and "cut" it into 16 different pieces. Then I created 16 squares and positioned them on top of the big picture of Frickle. 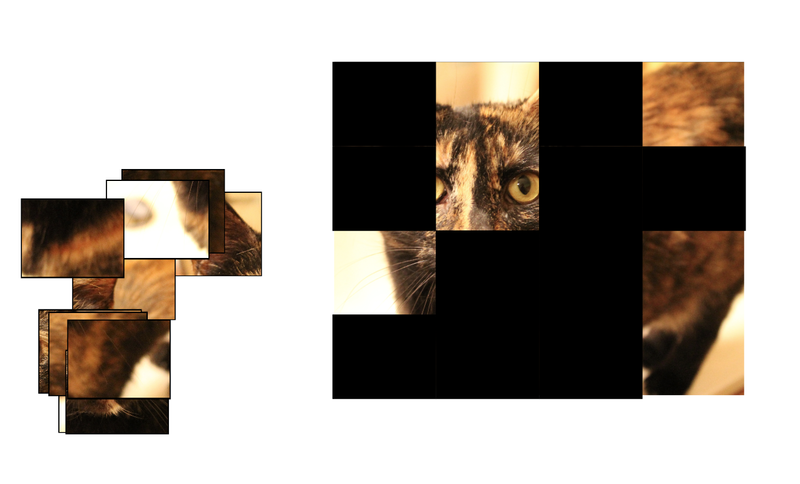 When a "puzzle piece" is dragged on top of it's respective square both disappears and it gives this illusion of the piece "snapping" into place. This took a big headache to finish, but it is done and turned out pretty cool!